Myth becomes belief becomes behavior—in this inspiring work, Western yogis are encouraged to rewrite their stories to renew their spirits. Although it’s written for “Western” yogis, Bernie Clark’s enjoyable exploration of the world’s spiritual stories reaches beyond the needs of Western yoga practitioners and teachers to a much wider audience. Thoughtful readers who love to curl up with a good book; anyone who wants to understand their dreams, desires, and behaviors; all who want to stop sleepwalking along an unconsciously chosen path and make real choice possible in their lives; and all who have found their own cultural myths lacking will find their minds and hearts expanded here, in From the Gita to the Grail: Exploring Yoga Stories and Western Myths. Clark shows how the ancient stories that have shaped world cultures still influence our beliefs and behaviors today. Unconsciously imbibed from our parents at infancy and reinforced at all stages of life, these myths form the mental maps that tell us how the world works and why it works that way. To a large degree, they determine how we live, love, make war and peace, and what we teach the generations that follow. All myth, says Clark, is metaphor, and its power lies not it its truth, but in its effect on us—a fact that may be missed by some, appreciated by others, and used as a launching pad for change by a few. Influenced by the work of Joseph Campbell and Carl Jung, Clark is a scientist with over twenty-five years in the high-tech and space industry, a meditation and yoga teacher who has investigated meditation for over three decades, the author of two books on yoga, and the creator of the YinYoga.com website. 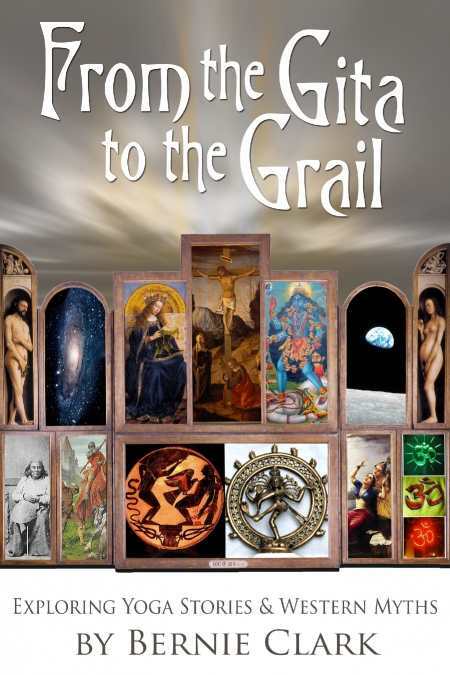 He has created in From the Gita to the Grail an encyclopedic work that invites us to examine our own stories with wonder, interest, and a renewed belief in the possibility of change.